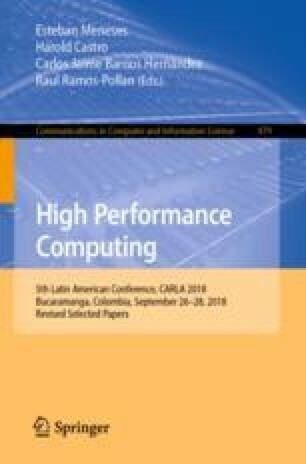 This article presents an algorithm conceived to improve the computational efficiency of simulations in ESyS-Particle that involve a large number of particles. ESyS-Particle applies the Discrete Element Method to simulate the interaction of agglomerates of particles. The proposed algorithm is based on the Barnes & Hut method, in which a domain is divided and organized in an octal tree. The algorithm is compared to a variation of the octal tree version that uses a binary tree instead. Experimental evaluation is performed over two scenarios: a collapsing cube scenario and two agglomerates orbiting each other. The experimental evaluation comprises the performance analysis of the two scenarios using the two algorithms, including a comparison of the results obtained and the analysis of the numerical accuracy. Results indicate that the octal tree version performs faster and is more accurate than the binary tree version.